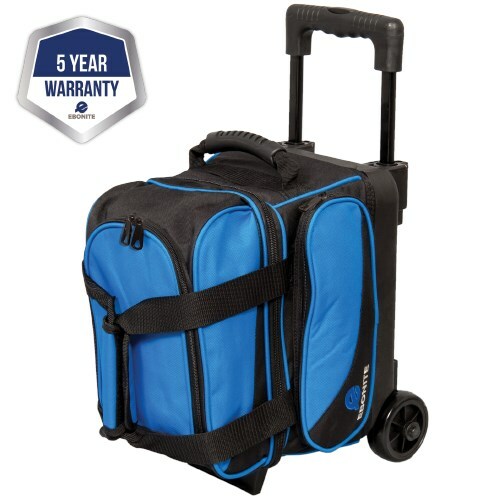 The Transport I Series rolling bags are great for every kind of bowler. They are made of steel with a 2 year limited warranty with room for 1 bowling ball, accessories and your shoes! While the ball and shoe compartments are fine, the handling of the bag leaves much to be desired. The handle does not stay extended. It slips back down when you attempt to push rather than pull it and if you are using the handicapped ramp, instead of carrying the bag down the steps, the bag tips sideways and topples over. The wheels are small and don't give it the stability that it requires for a smooth action. Weekly league use. Have had others. Most end up tearing shoe compartment seams. We will see on this one. Hi Luvie! The dimensions of the Ebonite Transport I Single Rollers are 10w X 15D X 17H (without the handle extended). I hope this works for your locker. What is the length of the extended handle? Hello Lulu! The handle is 35 inches when fully extended. The wheels will be 3.5 inches. 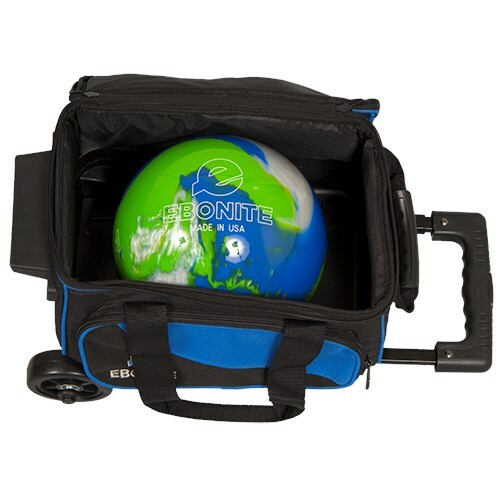 Due to the time it takes to produce the Ebonite Transport I Single Roller Blue ball it will ship in immediately. We cannot ship this ball outside the United States.